PC users have been in a bit of a quandary about the new Thunderbolt interface from Intel. On the one hand, we're all about maximum performance, so given its sizable speed advantage over USB 3.0, at least on paper, we’re eager to adopt it. On the other hand, there are three issues that have prevented us from jumping on the Thunderbolt bandwagon with both feet. The first is the fact that it debuted on the Apple platform. Granted, we're a bit sensitive, but this just rubbed us the wrong way. Second, Thunderbolt doesn’t exist on LGA2011 due to a requirement for integrated graphics. And finally, we already have USB 3.0, so do we really need Thunderbolt? Sure, it's twice as fast on paper (10Gb/s versus 5Gb/s), but will we see that benefit in the real world, and is it worth the cost? To help us answer all these nagging questions we snagged a very special hard drive, the Buffalo MiniStation Thunderbolt, which has both USB 3.0 and Thunderbolt ports, allowing us to test both interfaces back-to-back and make an apples-to-apples comparison. 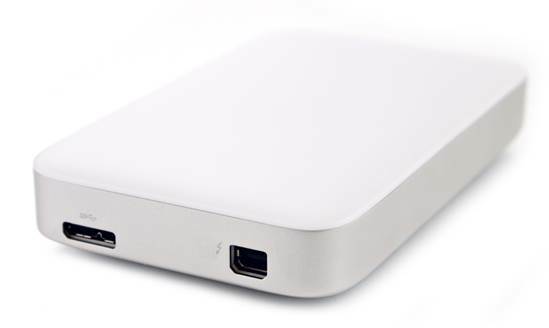 The Buffalo MiniStation Thunderbolt/USB portable HDD is a relatively inexpensive way of carrying a lot of data in a small package without having to worry too much about how you're going to connect it to your computer. Upon first glance, it’s apparent this is a Mac-oriented drive, both in its Thunderbolt support as well as its aluminum exterior and rounded edges. It doesn’t help that the documentation for the drive states that it comes preformatted for Macs, but don't prejudge the drive just yet - that's our job. In addition to shipping with both T-bolt and USB 3.0 interfaces, the drive also includes both cables, which is amazing since a Thunderbolt cable costs $50 alone. Inside the enclosure lies a 5,400rpm Samsung hard drive with 8MB of cache. 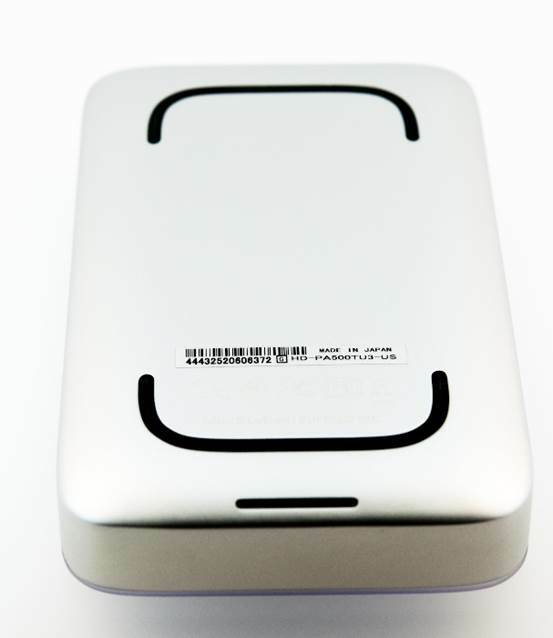 The drive includes a 3-year warranty, is also offered in 1TB capacity, and includes no software whatsoever. To test the drive, we performed real-world and synthetic tests, and came to a somewhat unsurprising conclusion in this iteration, with a 5,400rpm hard drive inside of it, this device is hamstrung by the drive itself, not the interface. In every test we ran, the drive performed exactly the same regardless of the interface we used, making the benefit of Thunderbolt in this instance primarily one of convenience rather than performance. 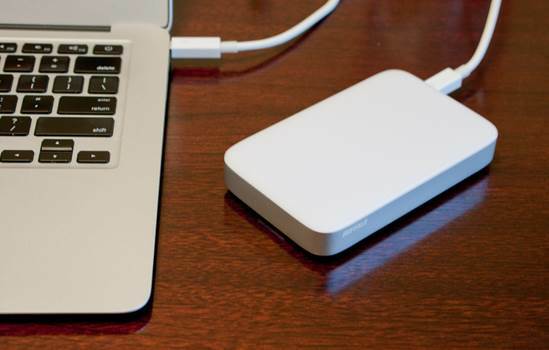 For example, it would be useful if you are a person who owns both a Mac with Thunderbolt and a PC with USB 3.0, or an older MacBook with just USB 2.0 ports. Or you could be a PC user who wants the flexibility of using Thunderbolt and USB for file-sharing with buddies. Either way, the drive isn’t any faster on either interface in its current form. Not only did it score the exact same write times down to the second when we copied 30GB of data, but it scored the same read and write speeds in HD Tune and ATTO, as well. For example, HD Tune clocked the drive at 80.7MB/s read speeds via Thunderbolt, and when using USB 3.0 it ran at 80.8MB/s. The drive's design is taken directly from the minimalist playbook with the rounded corners and curved edges favored by Apple. Now for the bad news: This drive costs $200 for 500GB, which is wildly expensive since you can get a Toshiba Canvio 1.5TB drive that is just as fast as the MiniStation for just $110. Thunderbolt could one day be the bitchin' interface we’re all using, but for now it’s too exotic and overpriced compared to USB 3.0.